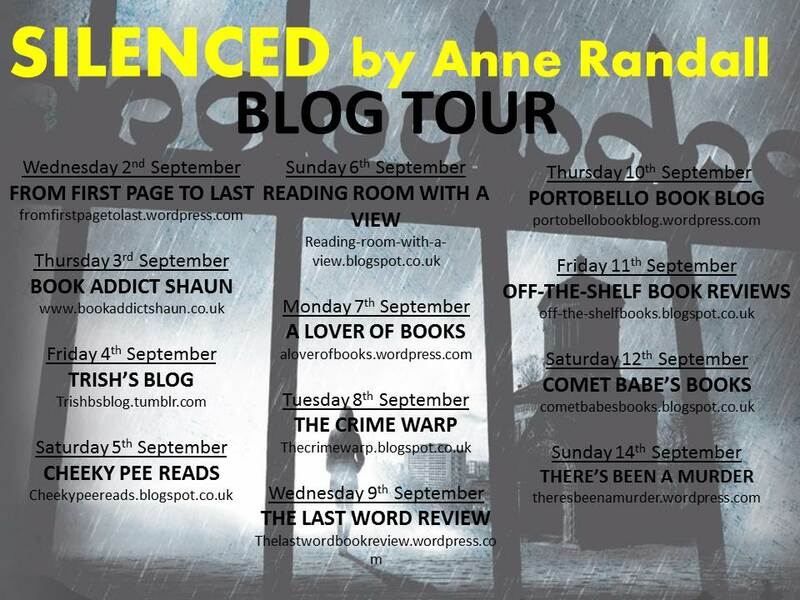 Silenced by Anne Randall is the second in the series of the Wheeler and Ross crime novels, the first book Riven was penned under the name of A.J. McCreanor and had rave reviews this will received by her fans in the same light. There is an escaped prisoner on the loose, this is no ordinary prisoner, a notorious killer is at large he was sent down for burying his victim alive. Now Wheeler and Ross are on the case. The killer is at large and on the run in the city of Glasgow. Let me set the scene, its cold, wet, there is snow and thunder crashing overhead, this is a part of Glasgow that is described so well by Anne Randall. Will Wheeler and Ross find their escaped killer before it is too late? The daughter of the victim has stayed quiet since her Mums murder, now she has gone missing, also someone is targeting homeless people and a body of a homeless person is found in an alleyway. Time is running out and Wheeler and Ross need to find the killer before he strikes again. More bodies of homeless people are found, is there a motive here? Is there another killer on the loose, and where is Fiona Henderson? This is a no holds barred tense thriller that shows a city with double standards for those in need. There is a fair amount of gritty language that gives Silenced that rawness that can only be found in this type of crime thriller it sets the tone and the scene. This is a novel that will have the pulses racing and will keep you up late at night wanting to know what happened next. Lovers of great crime novels should make their way to their nearest book shop and grab a copy and be prepared for some late nights. Anne Randall was born in Glasgow and after university taught English in various secondary schools in inner Glasgow. In 2011 she won first prize for crime fiction writing at the Wells Literature Festival. Anne now lives in Glastonbury with her husband, two cats and one dog. Silenced is her second novel. 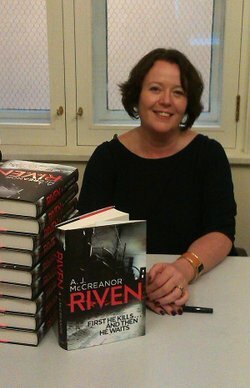 Riven was penned under the name A.J. McCreanor. 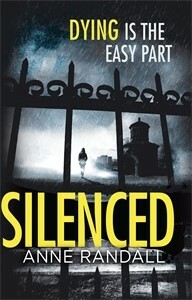 How would you like to win a copy of Silenced by Anne Randall. Head over to my Twitter page @Thelastword1962 and all you have to do is Re-Tweet and follow the ‘pinned’ message by Midnight tonight and I will pick a lucky winner early Thursday morning and the winner will be notified. * Please note UK and Eire only and the book will be sent direct from the publishers. Posted on September 9, 2015, in Anne Randall, Constable, Little Brown Book Co., Silenced. Bookmark the permalink. Leave a comment.